The renovated Comfort Inn hotel in Pueblo, CO will have you feeling well rested and refreshed. We give our valued guests easy access to Colorado State University-Pueblo, Monarch Mountain Ski Area, Pueblo Zoo, Greenway and Nature Center of Pueblo, Lake Pueblo State Park and Royal Gorge Bridge and Park. Get ready to take on the day with such amenities as free WiFi, free ample parking, free hot breakfast, free coffee, guest laundry facilities and an indoor heated pool. 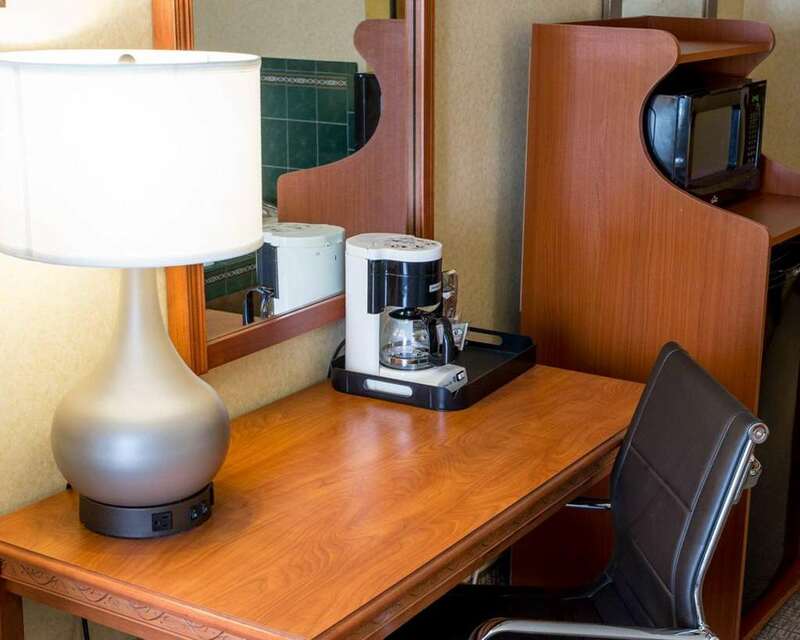 Behind every great day is a great night in your cozy guest room, which features a refrigerator, microwave, hair dryer, TV, iron and ironing board. Also, earn rewards including free nights and gift cards with our Choice Privileges Rewards program.